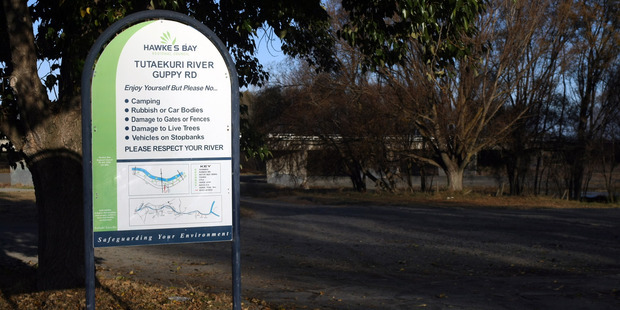 A group of men who took to a 21-year-old who had been sitting in his car at the Guppy Rd riverbank at Taradale on Sunday afternoon got more than they bargained for when he fought back. As Detective Glen Restieaux explained - "he is ex-German Army so he defended himself pretty well". However, as the young man, who is understood to be travelling the country and has been working in Hawke's Bay, took on his assailants one took him on from behind and he felt a sharp blow to his shoulder. It was not until a short time later after he had driven to a friend's house that he became aware the pain in the shoulder had increased and he realised there was blood there. Mr Restieaux said his assailant from behind had used what was likely to be a small pen-knife to stab him. The victim notified police and drove to a medical centre for treatment. "He's okay - he's gone back to work today." Mr Restieaux said the incident, which happened about 3pm, was sparked by one of the offenders approaching the man and asking for "a smoke". The victim had simply been taking time out at the riverside and was having a cigarette when the four men, who were in what was described as a black Toyota Camry, pulled up. "One of them asked for a smoke, in a gruff way and he responded with something like 'only if you say please' and they took exception to that." The man was pulled from the car by his hair but took his attacker on. After he was struck from behind his attackers got back in their car and drove off, and the victim went back to his car and drove to his friend's place. The offenders were described as Maori with two in their mid-20s and two in their mid-40s, with two of them believed to have gang affiliations going by the clothing they were wearing, Mr Restieaux said. He said at that time of the day there would have been other vehicles in the popular Guppy Rd riverbank area and police want to hear from anyone who may have seen the incident or seen the black Toyota, or knew of its whereabouts or the identity of the occupants. Information can be reported to Napier Police on 06 831 0700 or anonymously to Crimestoppers on 0800 555 111.